Instead of returning the passport of Hilal al-Jedda, who is originally from Iraq but now residing in Turkey, it emerged this week that Theresa May took the extraordinary step of revoking his citizenship for a second time. The case is believed to be the first in which the government has denaturalised the same person twice. Mr al-Jedda is a father of eight who was granted asylum in the UK in 2000. He returned to Iraq following the overthrow of Saddam Hussein but was arrested by US forces for suspected links to anti-western fighters. He was transferred into the custody of British armed forces who held him without charge for three years. As he was about to be released in 2007, the then Labour Home Secretary Jacqui Smith withdrew his nationality depriving him of the right to return to the UK. Mr al-Jedda embarked on a six-year legal battle to regain his citizenship which culminated in the Supreme Court ruling in October to reinstate it. The Supreme Court’s decision was based on the notion that a citizen cannot be stripped of his nationality if it renders him stateless. Theresa May had argued that there was nothing in principle that prevented Mr al-Jedda from acquiring Iraqi citizenship. However the court disagreed with her argument, stating that there was no guarantee that any application for Iraqi nationality would be successful. Theresa May’s renewed efforts to denaturalise al-Hilli form part of a disturbing trend that was started under the last Labour government and has accelerated under the Tory-Lib Dems coalition with about 20 people being affected. Usually the victims are denaturalised whilst they are abroad when they are denaturalised, forcing them to start protracted and expensive legal action to contest the decision. In the majority of cases the denaturalised are all Muslims, suggesting that the practice is motivated by religious prejudice. More often than not they are accused of some unspecified act of extremism, which is never investigated or substantiated. Critics have described denaturalisation as characteristic of oppressive regimes and another example of due process being abandoned under the pretext of fighting terrorism. 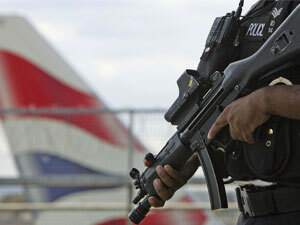 After the 2005 terrorist attacks in London, the UK lowered the legal standard required for denaturalisation. While previously the Home Secretary had to be satisfied that an individual had engaged in actions that threatened the “vital interests of the UK” state, now he or she had only to be satisfied that someone holding citizenship was “not conducive to the public good”.